The international photo competition dedicated to the sport of sailing updates its rules in order to fit with the evolution of the profession and the latest technical developments. The schedule is put forward by one month due to the dates of the Yacht Racing Forum. Last but not least, a new website will be developed this Spring. 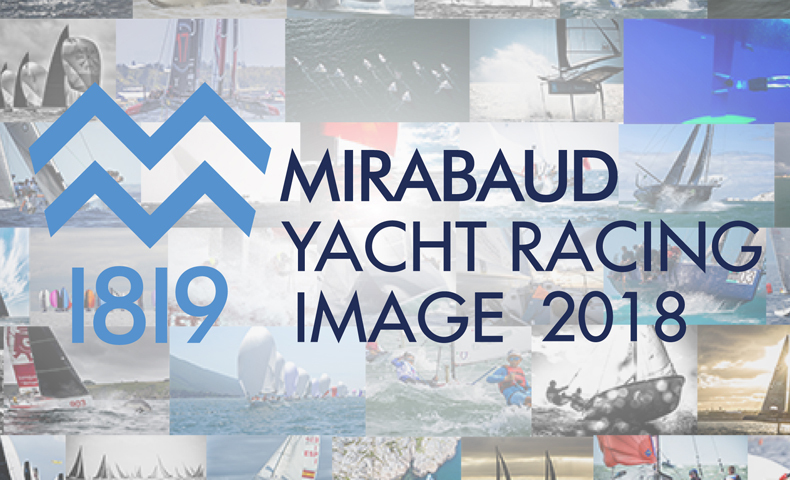 The international photo contest Mirabaud Yacht Racing Image announces updates to its rules, designed to respond to the evolution of the profession and the latest technologies. The ninth edition of the competition will take place one month earlier than usual, due to the dates adopted by the Yacht Racing Forum (22-23 October 2018, Brittany, Lorient), shortly before the start of the Route du Rhum. Last but not least, a new website will be developed this spring in order to better highlight the images and their authors. Photographers are invited to submit their best image, taken between 13 October 2017 and 12 September 2018. Photos must be submitted by 12 September 2018 at midnight. The 80 best images will be pre-selected by a panel of three international photographers and published on the competition website on 18 September. Public votes will be open between September 18 and October 10. The twenty best images chosen by the international jury will be announced on 1 October, then exhibited at the Yacht Racing Forum in Lorient, France, on 22-23 October, in the presence of the main personalities of the sailing world. The winner of the competition will be celebrated in public, while prize money and other prizes will be divided between the winners. Two "secondary" prizes will also be awarded: the Yacht Racing Forum Award (selected by delegates attending the conference) and the Public Award (based on public votes). Photographs taken from a helicopter, drone or selfie stick are accepted. Photos extracted from videos are not accepted. The subject of the photograph must have a direct and obvious link with yacht racing. The international jury will be made up of 5 to 7 members. They will vote on a rate card and also talk to each other to determine the winners. No fewer than 137 photographers representing 27 nations submitted an image for the Mirabaud Yacht Racing Image competition in 2017. The award was won by German photographer Sören Hese. More than 20,000 people voted for their favourite image on Internet, while 2.2 million pages were viewed on the event's website. For more information, please visit our website Complete rules, click here!